The fish stocking report now features daily updates from hatchery staff. 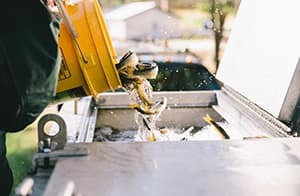 Instead of hearing when and where the hatcheries have stocked well after the season has ended, anglers now will be able to easily locate waters freshly stocked with catchable trout. Waters are grouped by county, listed by town, and include the date of stocking as well as the species, quantity, and size of fish released.